PPB has effectively targeted a number of cereals but has been of limited success in only some vegetables and fruits. However, the technique has also found resonance among a number of crops which have been categorized in this book as miscellaneous crops. These include mainly the underutilized crops like amaranth and chenopods which are members of family Amaranthaceae. These plants once enjoyed prominence but were relegated to the background on introduction of new crops in their area of cultivation. 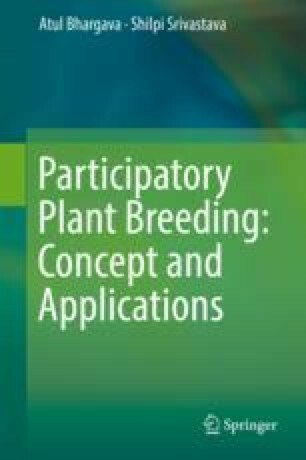 Some legumes like common bean, mung bean, and faba bean have also been discussed at length with reference to studies in participatory breeding. A number of such studies are also available in potato, sweet potato, cotton, coffee, cassava, and a number of trees of agroforestry importance.